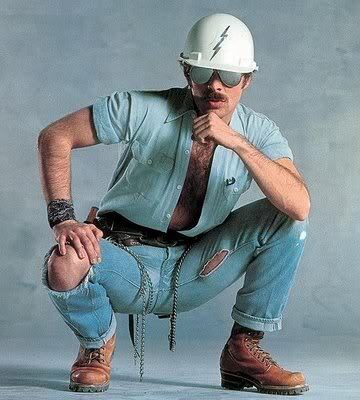 These updates really don’t qualify as “Under Construction”; they’re more like a “Work In Progress.” I just wanted an excuse to post a picture of the Construction Worker from the Village People and his moustache. Anyway, one of the main reasons I created this blog was to highlight brands that I think are doing cool things, hoping to increase the chances of them getting the attention they deserve and in turn they keep doing what they’re doing. In the hope of increasing exposure, I added some new pages to this blog that you can access under the heading “Info” on the right hand side of this main page. “Featured Brands” is always going to be a work-in-progress. It lists every brand I’ve ever highlighted in a post. Each one is listed as <brand name> @ <brand website>. Clicking on the brand name will take you to all of the posts I have written about one of their products. Naturally, the brand’s website link will take you to their individual main pages. “My Closet” is a link to one of my Pinterest boards, which I stared using earlier this month. I attempted to “pin” every shirt I own; as I don’t just write about shirts that I own or wear. Maybe you’ll find an older shirt you like that’s still available. Thanks again for stopping by No Mas Pantalones!